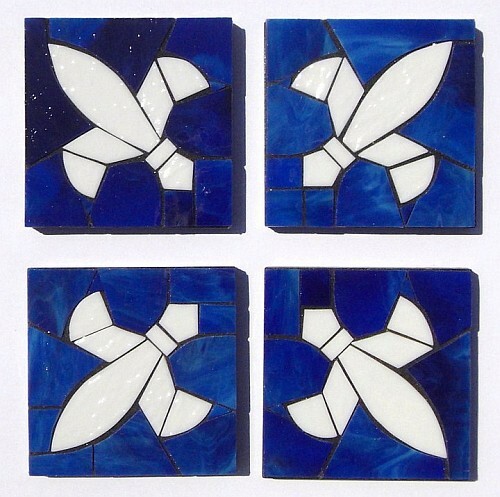 These fleur de lys mosaic trivets are part of "The Little Sue" collection. 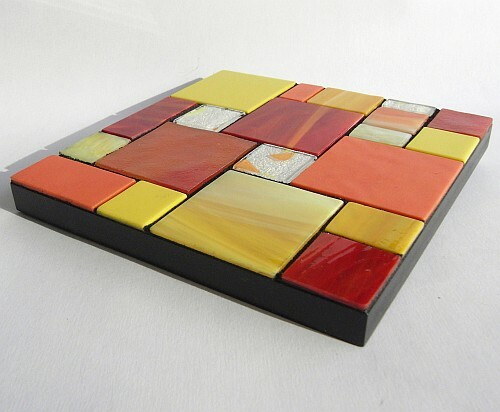 The digital pictures shown here cannot convey the brilliance and depth of the original mosaic glass work that is made with high quality glass. 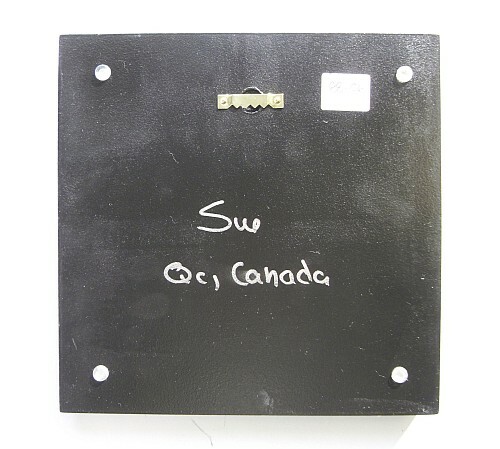 Each trivet measures 4 by 4 inches (10cm) and are 1 inch (2.5cm) thick, see picture. The back is also specially made if you prefer to hang them on walls. 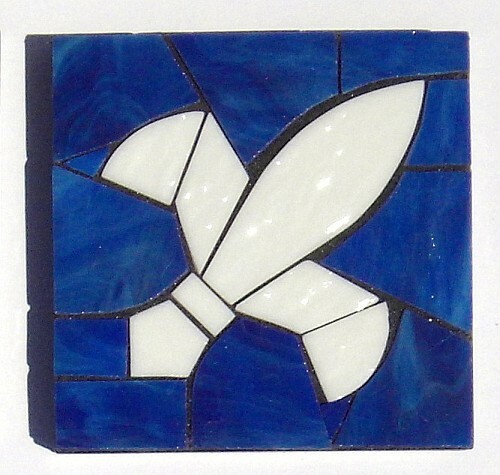 Each mosaic trivet can be purchased individually or in sets of 2, 3 or 4. You will be given an $8 rebate when selecting 4. Please keep in mind that these are all handmade so there may be slight differences, especially that no two pieces of stained glass are identical.